Over the past few years, Netflix, Inc. (NASDAQ:NFLX) has become an entertainment staple in many U.S. households. Combine the popularity of its online streaming service with the development of its own high quality, exclusive content, and it’s no wonder that NFLX stock has climbed more than 60% year-to-date and nearly 1,900% over the past five years. But, as great as this progress is, many Netflix stock investors are probably wondering: How long can it really last? In my previous article about NFLX stock, I related a Bernstein report on the declining use of traditional cable services by children to Netflix’s long-term popularity. I argued that although the findings did not directly relate to Netflix, they did apply to the general cordless mindset that continues to become the standard in the U.S. — a mindset that greatly benefits NFLX stock in the long-term. I still believe in the long-term success of the company; however, when you look at the bigger picture for Netflix stock, it’s also important to consider other elements outside the cordless movement itself. More specifically, can NFLX maintain its strength with a slew of new (and old) competition coming for its throne? But the impressive growth story can only continue for so long … right? 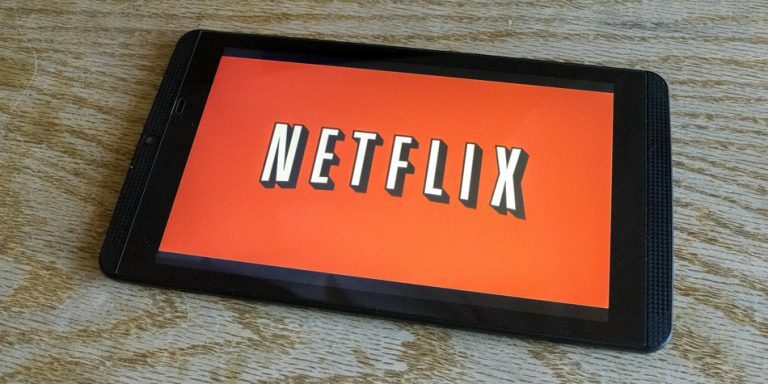 The long-term picture for Netflix stock gets a little muddier when you consider the potential impact of future competition from the likes of Facebook Inc (NASDAQ:FB), Walt Disney Co (NYSE:DIS) and Apple Inc. (NASDAQ:AAPL), along with current — and growing — competition from Amazon.com, Inc.’s (NASDAQ:AMZN) Amazon Prime Video and Alphabet Inc’s (NASDAQ:GOOG, NASDAQ:GOOGL) YouTube. Earlier this year, Disney reported that it will cease distributing its content via Netflix starting in 2018 and instead create its own streaming platform as well as a streaming service for ESPN. Of course, the absence of Disney alone is not enough to put an end to NFLX stock’s run, but its abandonment represents a dispersal of quality content. Beyond the enticement of existing/well-known films, there are only so many top-tier writers, actors and directors to grab for exclusive content and the more services there are to choose from, the less plentiful they may be on Netflix. In the years ahead, customers will have even more choices to make; and the inclination to choose multiple services, or at least choose Netflix as one of them, could decrease as the price for its services continues to rise. This, of course, assumes that competing services offer viable alternatives to what Netflix currently produces and plans to create in the years ahead. And NFLX stock isn’t going down without an epic, Hollywood-style fight. In the wake of Disney’s departure, the company plans to increase the already-Herculian output of its original films, with the company expecting to produce 80 NFLX-exculsive movies in 2018. The quality of these films is still to be determined, but the company is clearly continuing to grow its own content at an impressive rate. When you combine this new film-based content with the acclaim of its pre-existing “Originals” like Stranger Things, Orange Is the New Black and House of Cards, it’s highly likely that some of these films could draw in new subscribers while retaining the interest of old subscribers. But even the big-time successes of Netflix aren’t invulnerable to unexpected threats. Netflix Original Series House of Cards is coming under significant fire amid accusations of sexual misconduct against lead-actor Kevin Spacey. Although NFLX dodged a bullet since the series was already slated to end this season, the incident demonstrates how vulnerable its popular shows can be to actor misconduct. This is only one of many such stories currently afflicting Hollywood, and there are sure to be more surprises as the growing accusations against Harvey Weinstein have placed the industry under significant scrutiny. With this in mind, it’s possible that another Netflix series could unexpectedly meet the chopping block. Although that level of speculation shouldn’t be the basis of your choice for or against buying NFLX stock, it does demonstrate the ease for which a main attraction to the service could disappear without warning. In addition to more obvious and direct threats like Disney’s future streaming services and Amazon Prime Video, less obvious competitors are also looming over NFLX. Consider Facebook’s step into the video streaming realm with “Watch.” The company is gearing its strategy toward online video advertising, and although the content itself does not yet match Netflix’s movie and show content, it is possible that as the popularity of this service grows, so will the depth and complexity of its content. Facebook’s social media platform users — more than 2 billion worldwide — easily dwarf Netflix subscribers, and Watch could draw many of Netflix’s existing users. Furthermore, as mentioned earlier, Apple is also aiming to enter the fray; it has been hunting for film and TV shows and its iTunes service may soon compete with leading movie theater chains. All of these elements gain traction against the long-term case for Netflix stock as some of the streaming services that compete less directly with the company could leach mindshare and the challenges in choosing one service over the other or a specific combination of services becomes more difficult with increasing competition. The prospect of Apple entering the streaming-service melee also brings us to another core issue to keep in mind when looking at NFLX stock. Although Netflix is able to exceed its competition through its constantly increasing library of exclusive content, it lacks the financial resources of some of its competitors. As of now, Netflix has accrued “$4.9 billion in long-term debt” in order to execute its content-based strategy. We can expect this debt to grow as it continues to develop its exclusive library. These are limitations that would not easily hinder potential competitors like Apple and it might end up being a roadblock for Netflix further down the road. 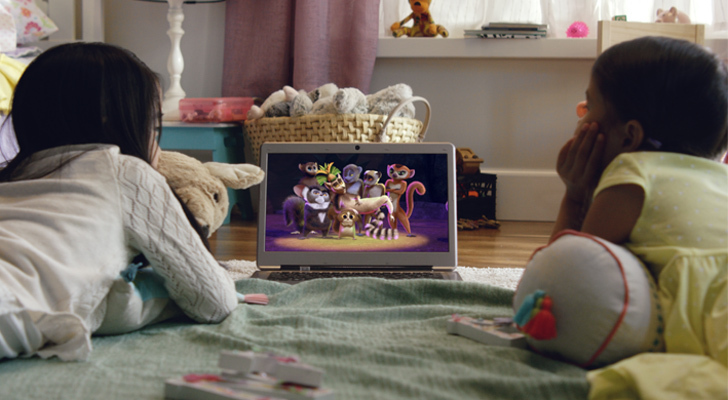 You can’t deny that Netflix has become an integral part of American entertainment. It’s even slipped into the popular lexicon — “Netflix and chill?” But owners of NFLX stock should keep in mind that its competition, while still in its infancy, could slowly erode Netflix’s dominance. Short-term proclamations of its inevitable destruction may be hyperbole, but the recent revelation of a deal between Disney and Fox should send shivers down your spine. These are still things Netflix stock owners should keep in mind when considering a long-term position in the stock and the magnitude of their threat could become greater as we learn more in the months ahead. Article printed from InvestorPlace Media, https://investorplace.com/2017/11/netflix-inc-wont-go-down-without-a-fight/.